Multiple times before visitation, my son’s mother has said that Charlie’s sick. It wasn’t a “be forewarned, he’s sick. He’ll need XYZ medicine, etc.” Rather, it was a simple, “He’s sick.” End of story. At the time I just thought whatever, she’s just letting me know he’s not feeling well. Oh well, we’ll get through it. 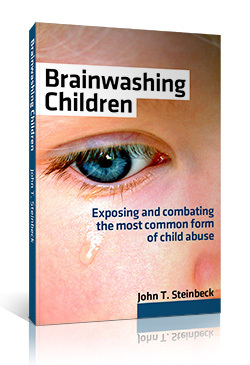 Only later after lots of research on the topic of brainwashing of children did I realize that this is a commonly used tactic by ex’s who don’t want your son or daughter around you. Your only solution is to do what I did, tell them thanks for the update, and reconfirm the pickup time. If your ex suggests no visitation because of the illness, politely inform them that you will take care of the child (and are open to medical solution suggestions), and that to deny visitation would raise the matter to a new level. Sidebar: Keep in mind you’ll have to judge the entire situation: If the child is indeed quite sick, would you want them to be around your healthy house? A good technique is to speak to your child and gauge the extent of their illness over the phone. A brainwashed child’s vocabulary is often quite remarkable. You’ll hear an 8-year-old say words like “concerned”– as in, just today my son, 8, told me he’s “concerned” when asked why he wants to know when our next visitation date is (it was the first time he’s ever asked about upcoming visits). 90% of the time Charlie says anything weird about me or my family, or expresses angst (the brainwashing in the background at work), he uses adult language. It’s a dead giveaway to the thoughts not being his own. So when you suspect your son or daughter is being brainwashed by the ex, you’ll get confirmation many times by the vocabulary he or she uses. Charlie is 8 years old, and today I had a weird conversation with him on the phone. He asked me when I’m coming to pick him up next. I told him I don’t know yet, my flight schedule isn’t out yet. But that I will know in 2 weeks. Mind you, he has a fun time around me and my family. I take pictures and videos to document this for the upcoming trial. It’s very difficult to hear your son become distant from you and even say that he doesn’t enjoy being around you. You know it’s his mother’s programming, but it still hurts. One commonway that an angry ex tries to align your child against you is to ankle-bite every thing you do in front of the child. The fact is, in this parent’s eyes you can do nothing right. Every little slip-up, real or perceived, every single thing you do is under the microscope. Unfortunately for your kid, he or she has to hear this steady drum beat of negativity. It’s another reason for you to simple stop– today– caring about what the other parent thinks of you. Trying with good efforts and nice gestures to get them to change their opinion of you, even slowly, rarely work. Simply “do the right things” as a parent week in and week out, and keep a close relationship your kid. You can’t control what the ex says about you*, but you can control how you act, both around your ex and around your kid. *But always be prepared to fight it in the courts, where you must hold these brainwashing parents accountable.